The restaurant features an outdoor garden, tented deck and indoor seating. During July and August, there will be live music in the tent every Tuesday and Saturday. Along with Monday’s trivia night and Thursday’s corn hole tournament, it’s a whole week of fun! 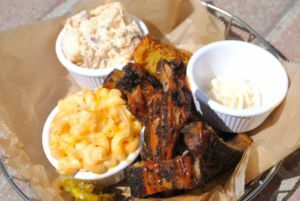 It’s also the only place on the whole island to get authentic barbecue—the chefs smoke meat in-house daily. 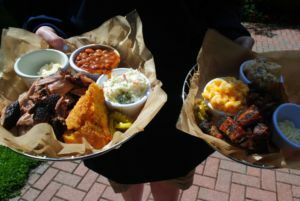 Ice House BBQ strives to acquire locally sourced produce as much as possible. Back in the mid 1800’s, Mackinac Island had its own ice house, still in existence today but no longer operational. During the winter, ice would be mined from the lake and stored in the house. The restaurant will feature decor and pictures to illustrate the long history. 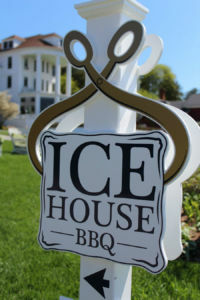 Ice House BBQ, along with 1852 Grill Room, are located on The Island House Hotel property. Though created for the convenience of the hotel’s guests, both restaurants welcome the public. 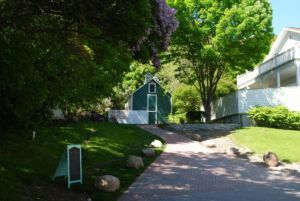 To get to Ice House BBQ, follow the path to the left of Island House Hotel and turn right at the garden. What’s New in the World of Northern Michigan Food Trucks? Lots!